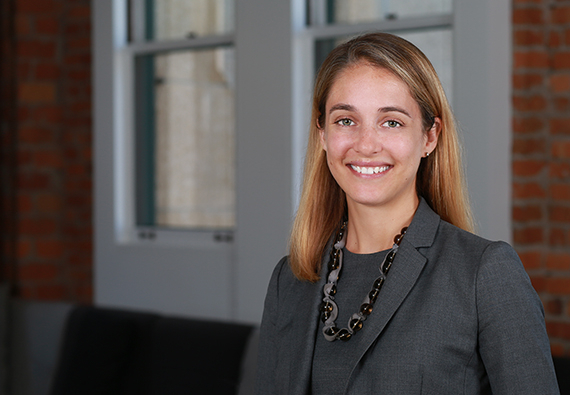 Claire Johnson represents individuals who are the subject of either internal or government investigations into a range of high-stakes allegations. Claire specializes in data breach and financial services investigations. She also maintains an active civil litigation practice, including healthcare antitrust, false advertising class actions, complex contractual disputes, and constitutional tax matters. She handles both dispositive and discovery motions. Finally, Claire maintains an active pro bono practice, including the recent expungement of the criminal records of trafficking victims. Claire is distinguished by her approach to client service. Prior to studying law, Claire spent three years working as a congressional aide, where she developed a deep background in overcoming legal and bureaucratic hurdles for constituents. She is committed to serving her clients as a counselor, problem-solver and advocate in unique and difficult situations. Before joining Farella, Ms. Johnson interned with both the U.S. Attorney’s Office for the Eastern District of New York and the Massachusetts Attorney General’s Office. I love working with our innovative, dynamic clients and solving their civil and criminal problems.